Thor is one of the most important divinities in the Norse mythology. He is often associated with the symbols of lightning, thunder, storm, fertility and strength. In addition, he is responsible for the protection of humankind and is an Æsir god. The Icelandic medieval manuscripts (i.e. sagas) provide considerable details concerning the Norse mythology which was brought from Scandinavia throughout the 9th and 10th centuries during the Norse settlement of Iceland. In these literary works, he is depicted as a major god who is the son of Odin and of Fjörgyn (the personification of earth in the Norse mythology; ‘fjörgyn’ in the Old Norse language means ‘earth’). He is the husband of the Norse goddess Sif and the lover of jötunn (giantess) Járnsaxa. His name can be found in literary sources in such variations as Ásabragr, Ása-Þórr, Atli, Björn, Einriði/Eindriði, Ennilangr, Harðhugaðr, Harðvéurr, Hlóriði/Hlórriði, Öku-Þor, Rymr, Sönnungr, Véþormr, Véuðr/Véoðr, Véurr, or Vingþórr. Below you can read a list comprising ten important facts about Thor, his role in the Norse mythology and his legacy. 10. Thor is commonly associated with his hammer Mjölnir which is thought to bear the power of thunder. The Mjölnir is a fantastic weapon which is described in the Norse mythology as having the capability of leveling mountains. According to Icelandic medieval author Snorri Sturluson, the hammer was forged by two dwarves by the names Sindri and Brokkr. The hammer is peculiar to other of its kind given the fact that it has a short handle which is due to a mishap during its manufacture. Today, Thor’s hammer is a symbol which appears most notably on the coat of arms of the Torsås Municipality, south-eastern Sweden, as well as on the insignia of Tórshavn, capital city of the Faroe Islands. 9. 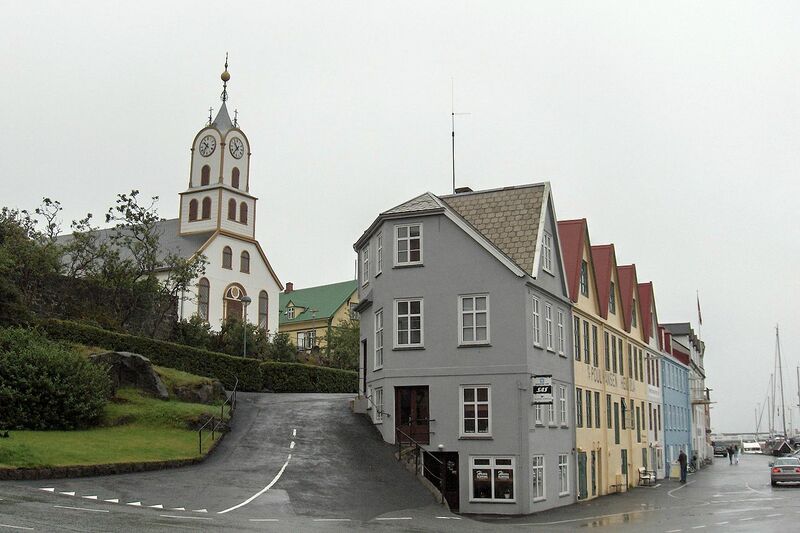 The name of Tórshavn, the capital of the Faroes, literally means ‘Thor’s Harbour’. The locality is situated on the Streymoy island, the largest and most populous one of the Faroese archipelago. 7. The Swedish chemist Jöns Jacob Berzelius identified a chemical element that he decided to name ‘thorium’ after Thor. 6. There are numerous place names in Scandinavia that bear the name Þórr. Also, in Greenland a peninsula is called Thorland and there’s a fjord known as Thor Fjord as well. In Canada a mountain was called Mount Thor and is located on Baffin Island. In Alaska there’s also a mount by the same name and another one in Antarctica. The toponymy involving Thor’s name reaches far deeper into the solar system where a volcano has been named after him which is situated on Jupiter’s moon Io. 5. In several Germanic languages, a day of the week bears the name of Thor. In English it’s Thursday (i.e. ‘Thor’s day’), in German it’s ‘Donnerstag’, and in Dutch it’s ‘donderdag’. 4. Thor (as well as other gods from the Norse mythology) can gain immortality by eating the magical golden apples of Iðunn, which are to be found in Asgard. The golden apples can only be picked by the Norse goddess Iðunn. 3. While fighting, aside from his hammer, Thor used powerful iron gauntlets known as Járngreipr/Járnglófar and a magic belt by the name Megingjörð that made him twice stronger. 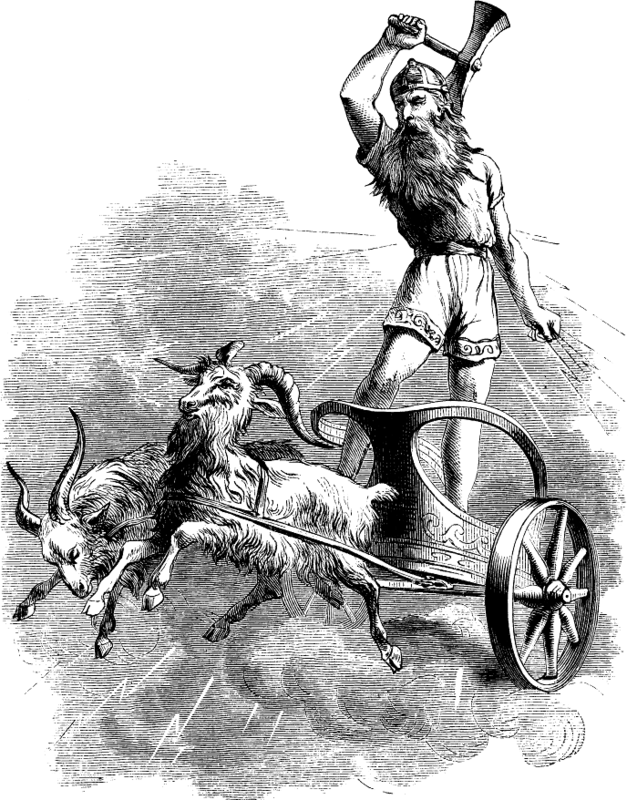 He also rides a chariot pulled by the two goats Tanngrisnir and Tanngnjóstr. 2. One of Thor’s fierce foes in the Norse mythology is the serpent Jormungand which is believed to dwell in the ocean surrounding Midgard, the realm of the visible world. 1. As a Norse god, Thor was also particularly associated with fertility and agriculture in Viking Age Scandinavia. As his reputation of the god of sky increased more and more, he was held responsible for the rains that could turn crops to grow. Why Thor not Tor ? I believe in Thor…Thursday…He is among us and will show himself again.